Rare-earth magnets are strong permanent magnets made from alloys of rare earth elements. Developed in the 1970s and 1980s, rare-earth magnets are the strongest type of permanent magnet, producing significantly stronger magnetic fields than any other type such as ferrite or alnico magnets. As the data speaks, the magnetic field produced typically by rare-earth magnets is 1.4 Tesla while ferrite or ceramic magnets typically produce fields of 0.5 to 1 Tesla. There are two types: neodymium magnets and samarium-cobalt magnets. Rare earth magnets are extremely brittle and also vulnerable to corrosion, so they are usually plated or coated to protect them from breaking and chipping. There are some kinds of rare earth magnet. Soft magnetic materials: they have high magnetic conductivity and magnetic induction intensity. Their main function is transformation and transmission of electro magnet energy. Soft magnetic materials can be sorted into alloy ribbon or alloy slice, amorphous state alloy ribbon, magnetic medium, or ferrite. They are mainly used in producing magnetic current antenna, inductor, electrical transformer, magnetic read, earphone, relay and so on. Permanent magnet materials: they could remain part or most part of the magnetism of original direction of magnetization, even under very strong reverse action of magnetic field. And they could be used in producing loudspeaker, phone, electricity meter, electric image tube, magnetic bearing, copy machine, temperature control meter and so on. Piezomagnetic materials: they will have mechanical deformation under the action of an external magnetic field, so they are also called magnetostriction material. They could be used in the transition of magneto sonic or magnetic energy. Rectangular hysteretic materials and magnetic recording materials: the characteristic of this material is their hysteretic loop in rectangle shape. So they could be used in recording information, contactless switch, logical operation and information amplifier. Gyromagnetic materials: they have special micro wave magnetism. They are mainly used in the transmission and transformation of microwave energy. There are commonly used in sound insulator, circulator, rejecter, dimmer, phase shifter, modulator, magnetic switch, limiter, delay line and so on. Magnetic materials are ferro-magnetic substance with magnetic order. There are many kinds. By property, magnetic materials could be divided into metallic magnetic materials and non-metallic magnetic materials. Metallic magnetic materials are electrical steel, and rare earth alloy and so on; non-metallic magnetic materials are mainly magnetic oxygen material. By application, magnetic materials could be divided into permanent magnet material magnetic steel, soft magnetic materials, rectangular hysteretic materials and magnetic recording materials, gyromagnetic material, piezomagnetic material and son on. The industrial reserves of rare earth exist not only in China, but also in US, Australia, Vietnam and Russia. According to the statistics of 2009, the rare earth reserves in US took up 13 percent of the world but the production was zero; the rare earth reserves in Russian took up 19 percent of the world, the production zero; the rare earth reserves in Australian are 5.4 million tons but the production is zero as well. In China, deceased former President Deng Xiaoping said in 1992: 'There is oil in the Middle East. There is rare earth in China and we did not realize how import rare earth could be'. Although rare earth is not exclusive in China, after 1995, this country provides most of the rare earth in the world. As a compare, at present there is not even one plant processing rare earth in UK. Actually in the 20th century, UK and Australia mined rare earth as well; just the Chinese rare earth technology changed it. 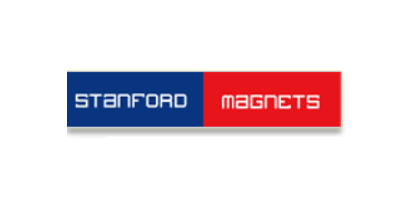 - Stanford Magnets, US rare earth magnets supplier (neodymium magnets, smco magnets, ferrite magnets and alnico magnets). Click here to know more about us. So How Exactly Does A Waste Tyre Pyrolysis Recycling Machine Work? No comments were found for Beginner Guide to Rare Earth Magnets. Be the first to comment!